Small acts of rebellion, like the Jericho Protest, serve to remind others that they’re not alone. On Sunday mornings, I like to go for coffee at Peet’s by the White House. Located on a sunny corner, it’s a good place to write in the quiet moments just after dawn. Inside, it’s usually just me, Secret Service agents taking a break and the odd jogger. One of those odd joggers is the man from the Jericho Protest. I saw him a couple months ago. 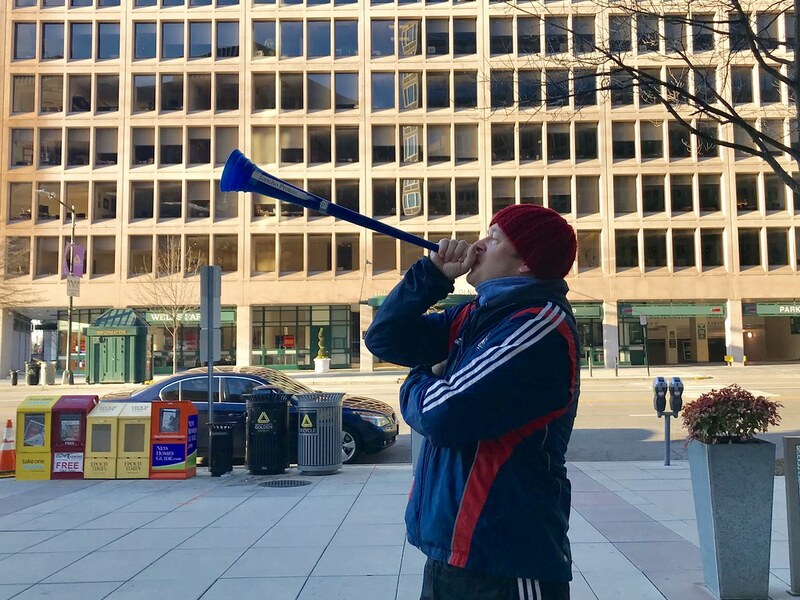 A runner with a vuvuzela. He stopped in front of 1600 Pennsylvania, blew his horn, and jogged off. Clearly, it was his Sunday morning routine. So, when I saw a person with a horn in front of Peet’s, I had to stop and get his photo. He does seven laps around the White House, blowing his horn on each circuit, just like the Jericho legend. The plaza in front of the White House is blocked off to cars. Located at the intersection of two major bike lanes, it’s the Mixing Bowl of #BikeDC. If you bike in this city, and are going east-west or north-south, it’s hard to avoid the Trumpian residence. Some go out of their way, not wanting to be reminded of the figure in the White House. Others incorporate protest into their daily routine. 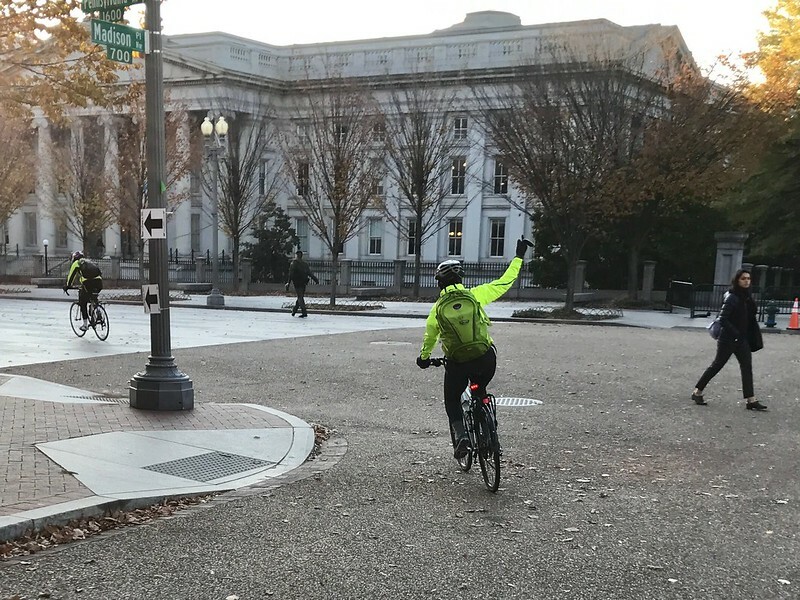 There’s a cyclist who flips off the President every morning. For a while, I had the same schedule as her. I’d see her, the woman in the Ortlieb backpack, one hand held up in defiance as she pedaled by, her moment of protest for the day. Rites of resistance, from blowing a horn at the White House to flipping off the President, make a difference, for they signal to others that Americans will not give up democracy without a fight.